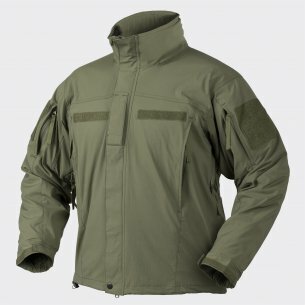 The leven 5 gen II helicon jacket was manufactured based on the clothing specification for American soldiers. This model of jacket is designed to protect against moderate rain, snow and wind, while maintaining high breathability. The hood hidden in the collar can be easily removed and put on. Its advantage is the exact adaptation to the shape of the head. 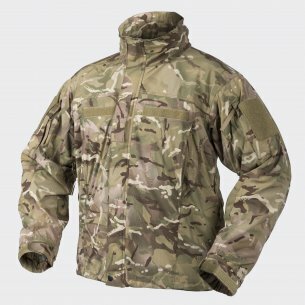 The loose silhouette of the jacket ensures comfort during use and ensures complete freedom of movement. The hello-leek 5 gen II helicon winter jacket is low weight and lightweight and can be worn in a backpack in the event of a sudden change in weather. 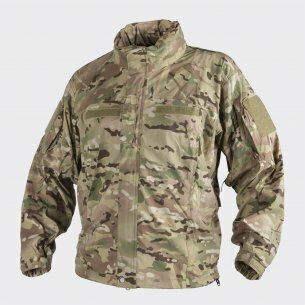 The helicon tex jacket is made of 98% nylon and 2% spandex with a DuPont Teflon protective coating with waterproof properties. The materials used allow to obtain new positive properties: water resistance, frost resistance, tear resistance (thanks to the microporous structure). Elastic adjustment of the bottom part of the jacket. 2 zipped pockets with zips on the shoulders. Suitable for all types of active sports. Padded net, solid back zippered pocket is used to ventilate and store caps, gloves, masks. The advantages of the soft shell jacket are related to the use of a material for production - nylon made of polyamide synthetic polymer based on polymers. The material has resistance to wear, preserves its color and does not wipe during frequent use. Such a winter jacket does not require special care and storage, dries quickly, does not require ironing. In addition, the jacket helon leven 5 gen II retains the stability of the form, does not deform, does not stretch and fits the shape of the body. Perfectly protects against cold and wind, because it does not let in cold air. 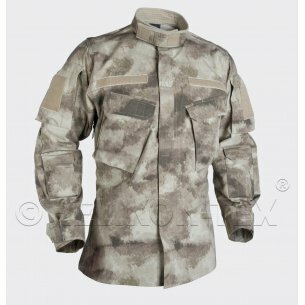 Produced tactical jackets have a variety of colors, because the fabric is easy to dye. The aesthetic, attractive and modern look of the soft shell jacket is ensured by the delicacy and high quality of the nylon canvas. 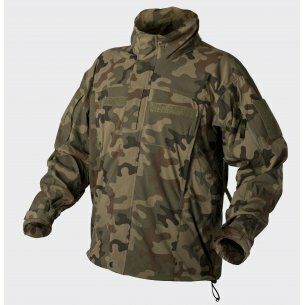 Men's winter soft shell jacket is distinguished by its low weight, comfortable dimensions and excellent performance. Softshel is used by the army, hunters, fishermen, sportsmen, tourists and people who love active forms of recreation. Practice has shown that these are very suitable clothes for sports and active leisure in the open air, especially in changing weather. It is worth noting that clothes such as the winter jacket helicon leve 5 gen II dry up even when worn. At the same time, wearing such clothes is always comfortable, regardless of environmental conditions. Softshell is a material made of polyester and nylon that takes place between waterproof jackets and lightweight fleece sweatshirts. Softshell jackets have better vapor permeability, greater flexibility and durability, but also better protection against weather conditions than fleece.